It seems like it’s been forever since Peter Jackson gifted us with yet another in a series of videoblogs (video below) that go behind the scenes of production of the eagerly anticipated The Hobbit: An Unexpected Journey. 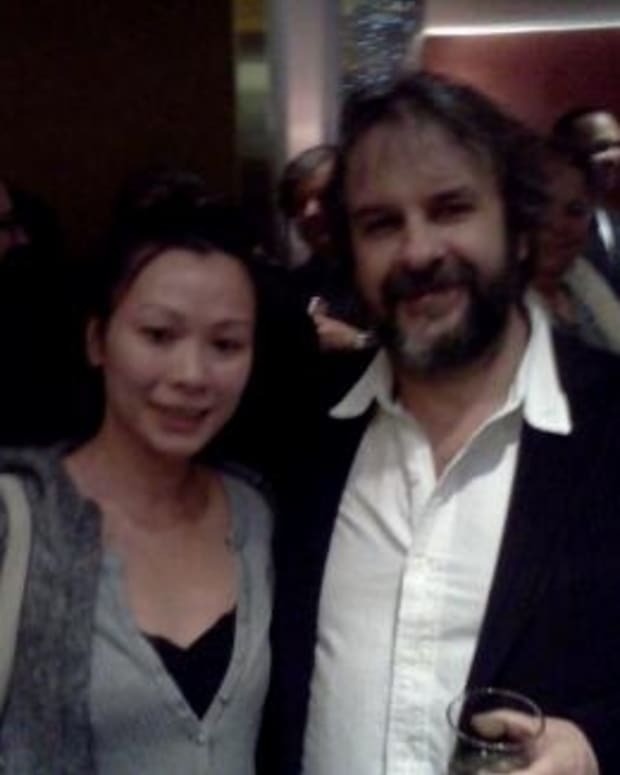 We love Peter Jackson. He still gets as excited as any fanboy, not only about all things Tolkein, but particularly for the technology behind bringing these stories to life. Where would the cinematic world be at this point, without his WETA Studios? Looking particularly Hobbit-y, Jackson introduces this video that talks about the 3D process. The Hobbit: An Unexpected Journey is his first 3D film (unless you count The Adventures of Tintin, but he “only” produced that one.) He talks about the 16 different cameras that capture the stereoscopic 3D and while that should make my eyes glaze over, his enthusiasm is contagious. Synopsis:The Hobbit: An Unexpected Journey follows the journey of Bilbo Baggins , who is swept into an epic quest to reclaim the lost Dwarf Kingdom of Erebor, which was long ago conquered by the dragon Smaug. Approached out of the blue by the wizard Gandalf the Grey , Bilbo finds himself joining a company of thirteen dwarves led by the legendary warrior, Thorin Oakenshield. Their journey will take them into the Wild; through treacherous lands swarming with Goblins and Orcs, deadly Wargs and Giant Spiders, Shapeshifters and Sorcerers. Although their goal lies to the East and the wastelands of the Lonely Mountain, first they must escape the goblin tunnels, where Bilbo meets the creature that will change his life forever… Gollum who holds the simple, gold ring that is tied to the fate of all Middle-earth in ways Bilbo cannot begin to know. The cast includes Martin Freeman, Ian McKellan , Cate Blanchett , Orlando Bloom , Ian Holm , Christopher Lee, Hugo Weaving , Elijah Wood , Andy Serkis , Richard Armitage, Stephen Fry , James Nesbitt, Dean O’Gorman, Lee Pace, Conan Stevens, Ken Stott, Aidan Turner, Luke Evans, Benedict Cumberbatch, Evangeline Lilly, and Barry Humphries . The Hobbit: An Unexpected Journey opens on December 14th, 2012, and The Hobbit: There and Back Again will follow a year later. Peter Jackson Ready to Direct 'The Hobbit'?